Join the Jambo Scout Band! We are just over two months away from the most exciting event in Minsi Trails Council this year! We are expecting over 3,000 Scouts, parents, leaders and volunteers to gather and enjoy TONS of fun stations and activities. Join us at Kutztown University, May 17th – 19th, to Celebrate the Minsi Trails Council’s 50th anniversary. The Cub Scout Area is rolling full steam ahead adding new activities to an already packed offering! Cub Scouts love to climb, so check out the monkey bridge. Test your hand at the leather working station. Have you ever thought about being a firefighter? Try shooting a real fire hose at a target! Play some Native American and Colonial games. Come shoot corn cob darts through grapevine hoops. Try your hand at tossing a newspaper. Ask your parents and grandparents if any of them were a newspaper delivery person. Calling all Legos owners! Does anyone have any Legos they would donate to us for the Brickyard Derby station? Please contact Diane, see below, if you do. Thank you. Jambo 2019 is just around the corner. We have an action packed weekend full of Scouting fun for you. In our Aquatics area we have scuba diving, so look shortly for pre-registration as slots are limited, kayaking, Scoutmaster Belly Flop and open swim periods. In our Sub camp Hawkeye enjoy some pole spar climbing, tomahawk and Atlatl throwing, and delicious dutch oven delights and taste the most mouth watering turkey cooked under a metal trash can. In our Athletics area get your troops or patrols ready for some can-jam, ultimate frisbee, and three on three basketball or get up early for a run around Kutztown’s campus. Walk through the Kutztown University's German Heritage Museum or visit the Kutztown Fire Department, PA State Police, and the forest fire/controlled burn presentation. For those musically inclined bring your instrument and visit the Music Tent for a Jam Session. 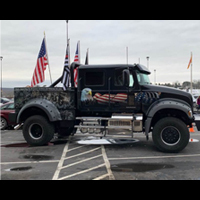 Keep looking for more great events at JAMBO 2019 in the Scouts BSA program Area. The members of the Venturing Team in the "Camp Minsi" sub-camp have assembled an area full of fun and adventure for older Scouts and Venturing crews! They'll be bringing exciting high adventure resources, cool hands-on activities, and beloved local camp favorites to Venturers and crews at Jambo! The Voyageur Rendevous - Step back in time and participate in a variety of hands-on living history activities, including blacksmithing, woodsmithing, lumberjacking and two-man saws, tomahawk and knife throwing, hot-iron branding, rope making, Dutch oven cooking, and more. Mountain Adventures - Reach new heights and explore exciting high adventure opportunities, including rock climbing, spelunking, and local high adventure camps. Action Aquatics - Make a splash and learn about water-based adventures for Scouts including whitewater rafting, wilderness canoe treks, fishing, boating, Sea Scouts, and programs on Camp Minsi's Stillwater Lake. Venturing Chill - Kick back and relax! Come hang out and share in the fellowship of Scouting with fun lawn games, tabletop games, music, and a special photo op station. The special events program area contains activities for Scouts of all ages to enjoy! Play on the inflatables, Rock Climb and Joust! Visit the Bethlehem Mountain Police and Horses. Stop by Lutron's remote control cars station. Try out the pre-made programmable lego Mindstorm kits or make your own customization! 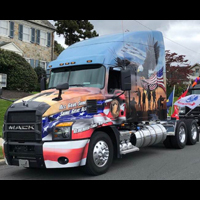 Visit with Mack Truck's Freedom Truck, a brand new Mack anthem truck launched in 2018 with custom graphics for each branch of the military as well as the Jack Mack, custom built at LV with 800 horsepower and 2,800lbs of torque! 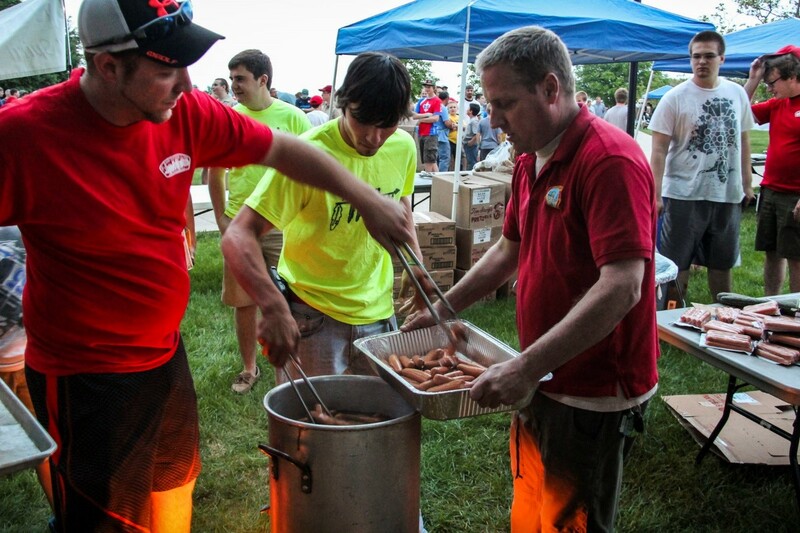 Stop by the OA tent near Lytle Hall for a hot dog for scouts and leaders to enjoy. We will also have music there for everyone to enjoy and have a great time. 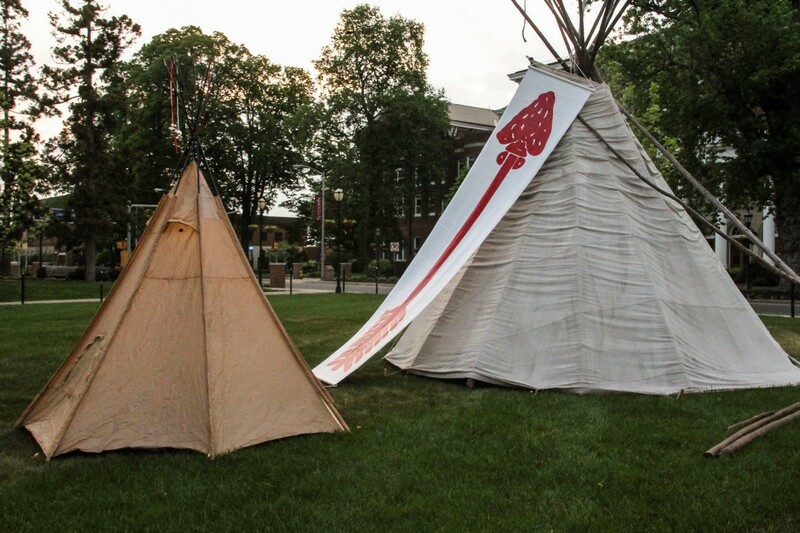 We will have a teepee set up for our AIA (American Indian Affairs) committee to use and part of the AIA committee will have regalia out for everyone to see and ask questions. They will also have a drum and may even do a little bit of drumming. We will also have a Silk Screen booth to silkscreen t-shirts. 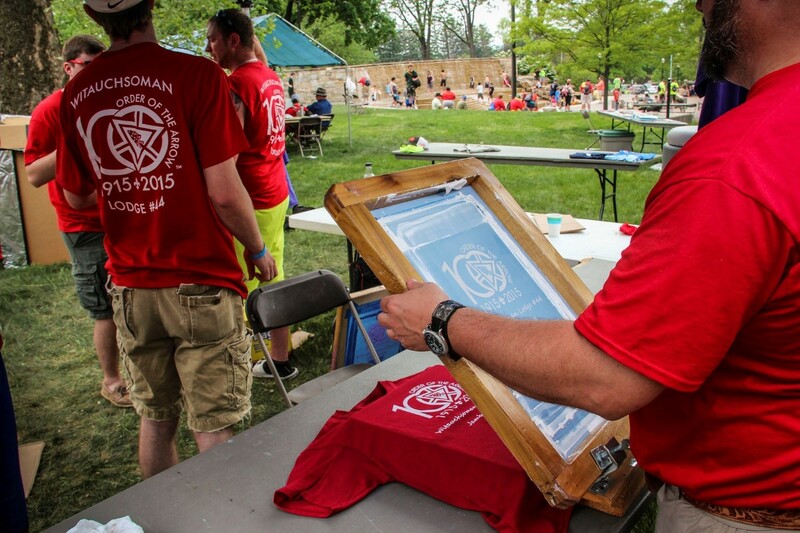 Bring a blank t-shirt with you to silk-screen them for FREE! Stop by the OA W-Mart (“Order of the Arrow Trading Post”) to get the latest gear that Witauchsoman Lodge has to offer! HEAR YE, HEAR YE ALL SCOUTS AND LEADERS …. We are now recruiting members for the JAMBO 2019 Scout Band and we would like to extend an invitation to members of your Packs, Troops and Crews to participate in this exciting opportunity. The JAMBO 2019 Scout Band will perform at the opening program of the main concert event on Saturday, May 18, 2019! The JAMBO 2019 Band is open to all Cub Scouts, Scouts BSA, Venture Scouts and registered Leaders. Please click here for applications and requirements. Get ready for some great music and a good time at the Jambo 2019 Evening Show. This year The ‘70s Flashback Band will hit the stage with great music and a full concert experience. The closing fireworks display will follow the Jambo Evening Show with a fantastic, high aerial display from world-class Celebration Fireworks! It’s a great way to end a great day at Jambo 2019, the 50th Anniversary Celebration of Minsi Trails Council. Interested in Jambo but want to know more? You've come to the right place, the following is everything you need to know about Jambo. 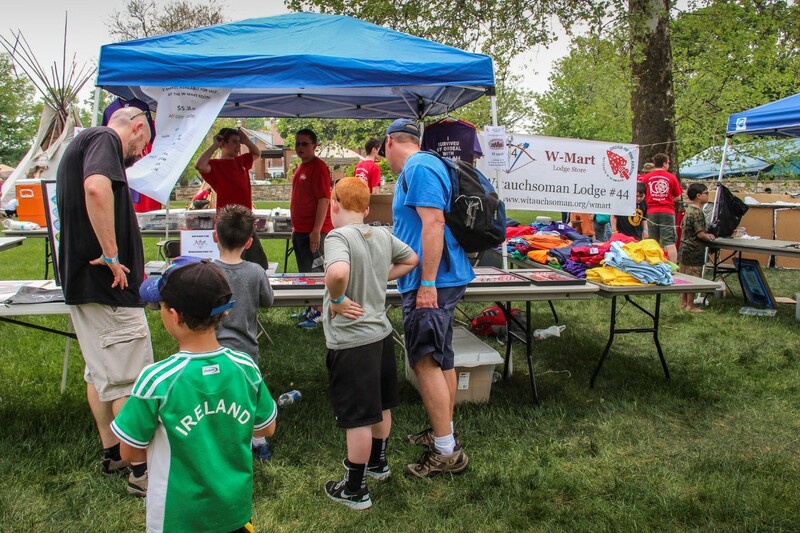 Friday, May 17 – Check In and setup for Family Cub Scout Packs, Scouting, BSA Troops and Venturing Crews camping begins at 5:00 p.m.
Saturday, May 18 – Opening Ceremonies begin at 8:45 a.m. Open program between 9:00 a.m. and 5:00 p.m. Evening program scheduled to start at 7:00 p.m.
Sunday, May 19 – Church Services and Mass will begin at 9:00 a.m. followed by designated area clean up and campsite cleanup. JAMBO 2019 will be divided into three large sub-camps. Scouting, BSA Troops, Venturing Crews, and Cub Scout Family Camping will all have their own large designated camping areas. All camping will have some space requirements and all areas will be assigned by the Jambo Campmasters. Camping informational packets will be sent to group registration owner. Group event packets (Wrist Bands, Maps, Patches) will be available for pick up at the assigned Campmaster check-in locations. Jambo 2019 affords you and your family full Saturday access, without having to camp overnight. Event packets (Wrist Bands, Maps, Patches) can be picked up at the Day Pass check-in location. General overview information will be sent to you via email prior to your arrival. Remember the earlier you sign up, the better the camp area you will receive!